About 8 miles away from the small town of Louisa, Virginia, a mysterious hidden community is nestled deep in the woods. All the local residents know about it, but few take the time to explore. 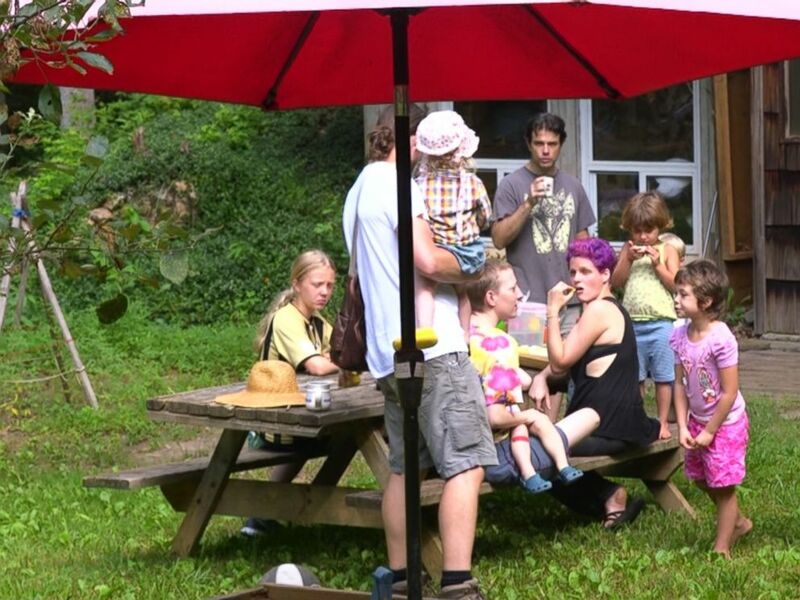 The community is called Twin Oaks, a commune where 92 adults and 13 children live on 450 acres. They have Internet, but no television, video games, bank accounts or high-paying jobs. No one is allowed to own a fire arm. They live off the land, eating the vegetables they grow themselves and sharing everything from clothes to housing to child care. 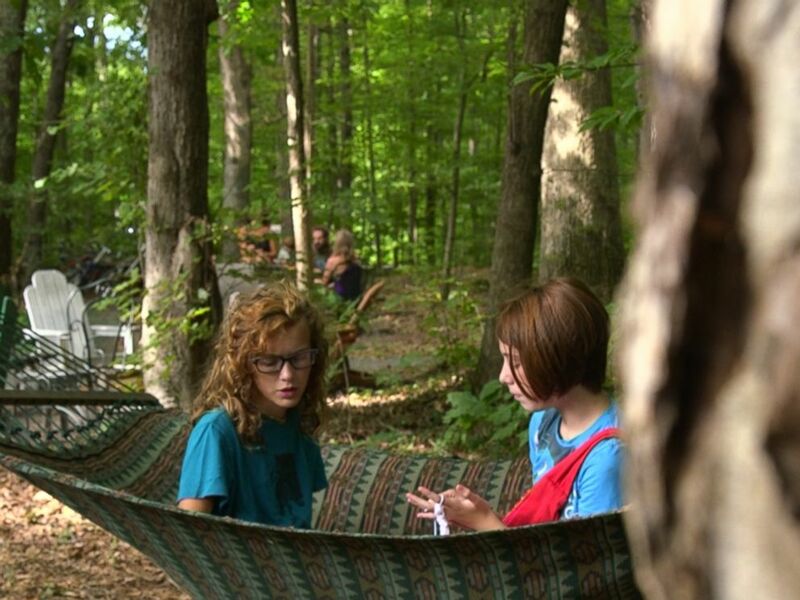 The community is called Twin Oaks, a commune where 92 adults and 13 children live on 450 acres. Imani Callen, 22, grew up in that hidden community in the woods, and now that she works in a café in Louisa, she has to straddle two very different worlds. The community makes money through making and selling tofu and hammocks that they say gross about $2 million a year and they share income. Adult members earn their keep by working 42 hours a week. Once they become 50, it goes down to one hour a year. 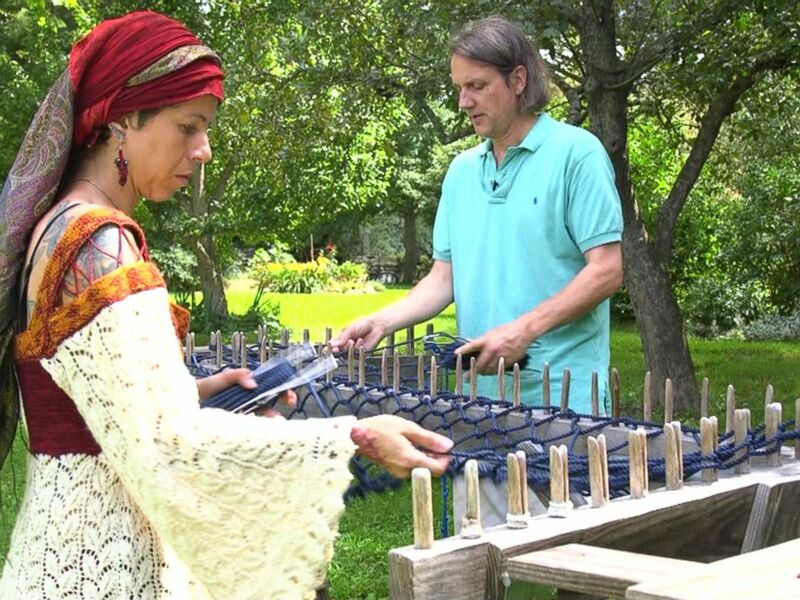 The Twin Oaks community makes money through making and selling tofu and hammocks. When someone in the community needs to run an errand, they check out one of the communal cars from the Twin Oaks’ main office – the residents are not allowed to own a car themselves. All of the cars have vanity license plates to help residents remember which car is theirs when they leave, since they change cars so often. They call their lifestyle "clever poverty," where each family lives below the poverty line and shares all the resources with each other. "The big sacrifice you make in living here is you'll never become wealthy," said Keenan Dakota. "I mean you're not going to hit the jackpot and suddenly make it to the top. However you are never going to be poor, your never going to be unemployed, you're never going to lose health care, you're never going to be homeless. It is a trade-off that a lot of people well certainly the people here are willing to make." Dakota has lived at Twin Oaks for 32 years and his son Rowan was born on the commune. Before moving to Twin Oaks, his name was Daniel Edward “I Lost” McGee. As a former student body president at George Mason University, he said he came to Twin Oaks to give a talk and never left. Dakota lives in a house with 22 other people. “People have small rooms,” he said. But living in Twin Oaks doesn’t come without sacrifices. At Twin Oaks, which has been in operation for 48 years, decisions, including whether or not you’re allowed to have a child, have to be approved by the community. “Having a child is not something you can take for granted, that you can just decide to do on your own because you’re not responsible for financing that kid’s upbringing. The entire community is, so the entire community has to make that decision,” said Katheryn Simmons, who has been at Twin Oaks for five years. At Twin Oaks, children roam freely through the woods and child care duties are shared. While it may not appeal to everyone, for some, this sort of communal living makes a lot of sense. Some of the commune’s residents are single mothers who say they wouldn’t have been able to afford many of the luxuries the commune provides on their own, such as free childcare. “It’s nice to have a three bedroom house with lots of lovely furniture and big closets and my very own washing machine and all these luxuries and air conditioning but they're nothing compared to the sense of support and sharing, the sense of community,” said Gryphon Corpus. Corpus was a CEO of a luxury yarn company and moved to Twin Oaks with her ex-husband and their 8-year-old Sappho. Imani Callen’s mother Brenda gives Sappho piano lessons. Sapphyre Miria, another single mom with two kids, saw the commune as her only option. “It was the three of us living off of $1,500 a month in downtown Norfolk where my rent was $925 a month, so I was just constantly having to scramble,” Miria said. But life took a different path. Miria’s daughter Kaya Houston is only 11 years old and works 11 hours a week as a caretaker to some of the younger children at Twin Oaks. Kaya said she likes living at the commune because she can play in the forest on her own without her mother. Children at the commune are obligated to start working one hour a week beginning at the age of 4 and then it slowly increases. There’s a waitlist to get into Twin Oaks, but the community doesn’t require background checks, which raises questions with kids roaming around, but no one seems concerned. One mother said she had lived at the commune for 25 years and there had never been an issue. This sort of communal living comes with trade-offs. Keenan Dakota’s son Rowan grew juggling farm duties with school and is now taking college classes at the local community college. He said growing up on a commune hasn’t made it easy for him to make friends in the outside world, but it’s a sacrifice he doesn’t mind. But this life isn’t for everyone. Only 3 out of the 50 children born here have stayed as adults. Imani Callen, now 22, moved out of Twin Oaks when she turned 19 and seldom looks back. “Growing up here I didn’t have anyone or any girls here that were my age so in my teenage years I want to branch out and go to public school with people that were my age and have other people I could relate to,” she said. “It became harder and less enjoyable to be here and more enjoyable to be off the farm."